Living room, real fire place. 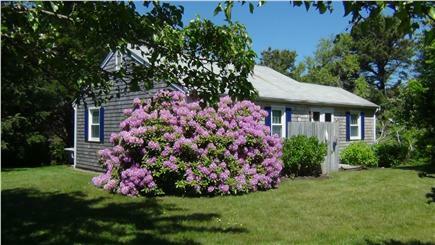 Detached cozy cottage as one unit of Pilgrim Lane Cottages in Nauset Heights. 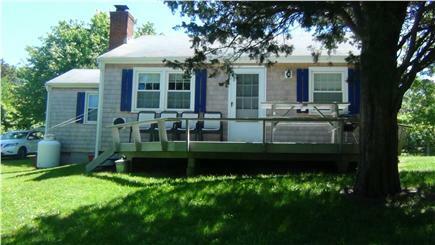 Easy walk to Nauset Beach and exploration of Mill Pond, Nauset Harbor and inlet. Well equipped kitchen. Deck with picnic table. Washer/Dryer in cellar so you won't have to wear that wet bathing suit tomorrow. Check out this cottage location from the air...Google Earth to North 41 degrees, 47 minutes, 51.10 seconds and West 069 degrees, 56 minutes, 37.17 seconds (41-47'-51.10''N, 069-56'-37.17''W.) This is a quiet, residential area terrific for small families and romantic getaways. Country peace and quiet at no extra charge. Additional pricing info: Multiple weeks discounted.... State and local taxes of 12.45% will apply. 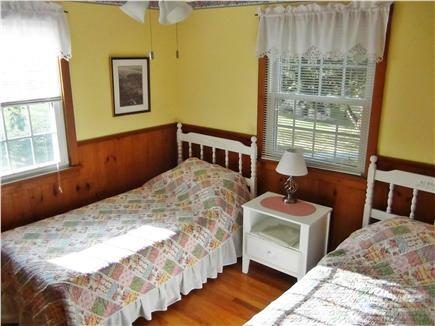 This is the relaxed and comfortable type of Cape cottage I remember from childhood vacations. The biggest difference being all of the modern amenities that are included. A very short walk to the bay and beach. The surroundings are quiet and private. A really wonderful place to bring the family! Perfect location. Perfect cottage for simple beach vacation. We loved the back deck, the outdoor shower and the walk to the beach. We also loved having Mill Pond so close to launch our kayak and paddle board. Also, the house is well maintained and immaculate inside. Great vacation! 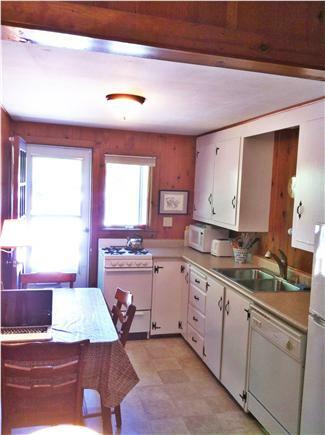 My husband and I have fallen in love with this charming cottage where we've vacationed for the past three years. Every time I step through the door I can hear Patti Paige singing. "You're sure to fall in love with old Cape Cod." Coffee at dawn, brunch late morning, drinks at sunset and star gazing at midnight...all done on the deck of this enchanted cottage in Nauset Heights. We can hear the roar of the ocean at night and during the day various songbirds provide a soothing soundtrack. 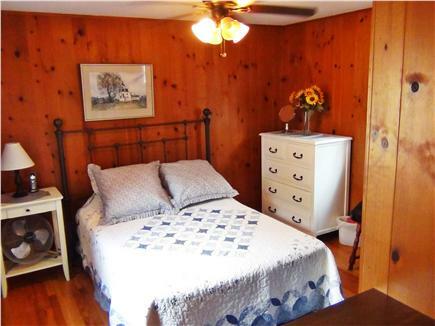 The cottage is beautifully decorated and very organized, clean and neat. It's a pleasure to come back to the cottage after a day of adventures. The kitchen is well supplied with cooking equipment, utensils and appliances. 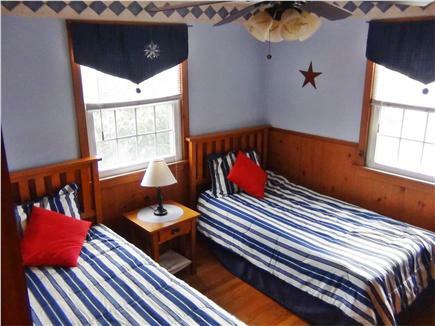 The owners provide excellent information: directions, info about the cottage, and entertainment suggestions. Modern amenities are provided: wifi internet, flatscreen tv & dvd player, A/C etc. There is great storage in the basement for bikes & beach gear and the generous owners let you borrow their beach chairs. It's also great to be able to do laundry and not to have to cart it back home. We also love the outdoor shower and the brand new queen size mattress. We really enjoyed our stay, particularly the proximity to Nauset Beach and the inlet that made for great kayaking and walks without needing to take the car. 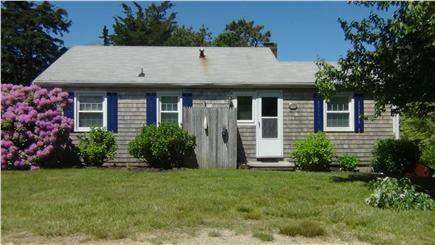 We really liked the traditional Cape Cod style: Simple, compact but well equipped and perfect for our family. We would certainly consider staying there again. Have owned and vacationed in this cottage for 30+ years. 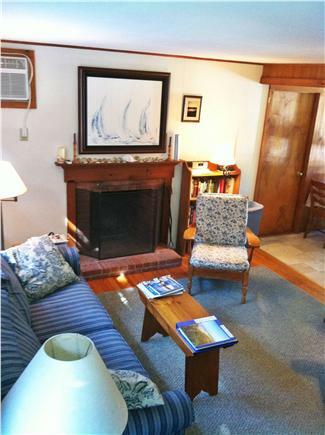 As a merchant marine ship's master this cottage has been a welcome reprieve from the sea. The cottage is well appointed, with plenty of kitchen utensils for every cook or non-cook as the case may be with no shortage of plates and glassware for six. And after a long day of fun, the beds have been recently updated for your comfort. When laundry is necessary, there are full sized washer and drier for your convenience. But who is going to cook or do laundry in Orleans when there are so many fine and family restaurants to enjoy? Pricilla Landing is a easy walk to calm, warmer (relative) water, Nauset Beach north end away from the crowds is a short walk too and if crowds are your thing, Nauset Beach public parking is very near by. Across town is Skaket Beach which is perfect for families relaxing in the shallows of Cape Cod Bay.